The Bears traveled to both matches and lost Friday in Seattle after the match was decided by a single point, but they turned it around the next day to sweep the Ducks, 4-0. No. 35 Cal men’s tennis will be wrapping up its season with a road trip to Washington and Oregon this weekend with hopes to head into the Pac-12 Tournament on a hot streak. A large crowd was watching on Cal Day as the No. 41 Bears took on the No. 12 Cardinal, and a win would put Cal at 4-2 in the conference play and drop Stanford to 2-4. Unfortunately for the Bears, they were narrowly defeated 4-3 to give them their second loss to the Cardinal this season. No. 41 Cal traveled to No. 45 Utah and took home a key 4-2 victory against the Utes to rise to 3-2 in conference play. Paul doesn’t focus on any of the rankings, results or expectations. He focuses only on himself and how he can improve day by day. After four straight home matches, Cal men’s tennis hits the road to play at Utah this weekend before returning home to face UCSB. On Sunday, March 24, Cal was shorthanded coming into the matches against Nevada and Saint Mary’s, with both Jacob Brumm and Yuta Kikuchi out. Nevertheless, the Bears stepped up and defeated both teams 4-0 with a modified lineup. The Bears have had moderate success this season but really started showing promise two weeks ago when they began 2-0 in the Pac-12. Since then, they have been 4-0 at home overall. 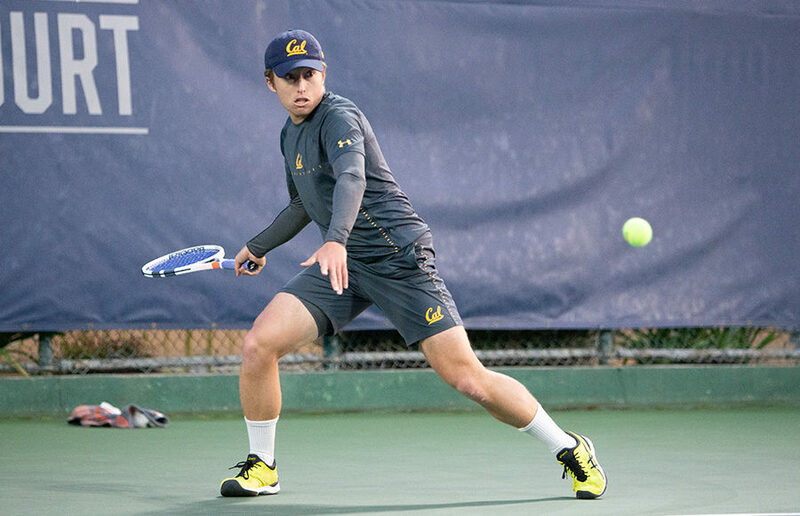 Cal men’s tennis entered the weekend hoping to continue its hot streak and defend its title from last year, but instead, after only one win, the Bears got shut out — and then lost again to an unranked team to close out its tournament. This upcoming weekend, Cal will face three more opponents as it travels to the BNP Paribas Open Collegiate Tennis Challenge presented by Oracle, an eight-team tournament played in Indian Wells, California.